The New York Post editorial board gives credit to the NYPD and the FBI for the swift capture of terrorism bombing suspect Ahmad Rahami. 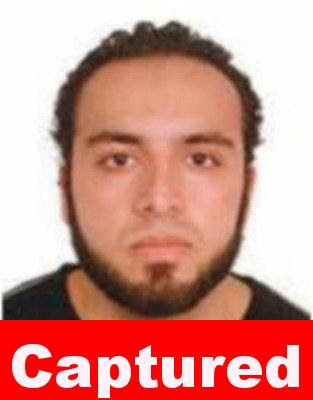 Kudos to the NYPD and its partners, from the FBI to the Linden, NJ, cops who actually nailed him: Less than 50 hours after the first bomb went off Saturday, they had Ahmad Rahami in custody. It’s hard to imagine finer police work. Yes, luck played a role: The carnage would have been greater had those two “if you see something, take it” passersby not apparently disabled the 27th Street bomb. And by tossing the contents of their new piece of luggage, they also allowed law enforcement to gather more clues — including, apparently, both the flip-phone-trigger that traced to Rahami and a fingerprint. But diligent work was also key, including what NYPD Deputy Commissioner John Miller called a “surge” of personnel to review video footage from the entire multi-block area, giving the authorities a clear read on the whole sequence of events.